In a large bowl combine melted butter, dressing mix, pepper flakes, and garlic powder. 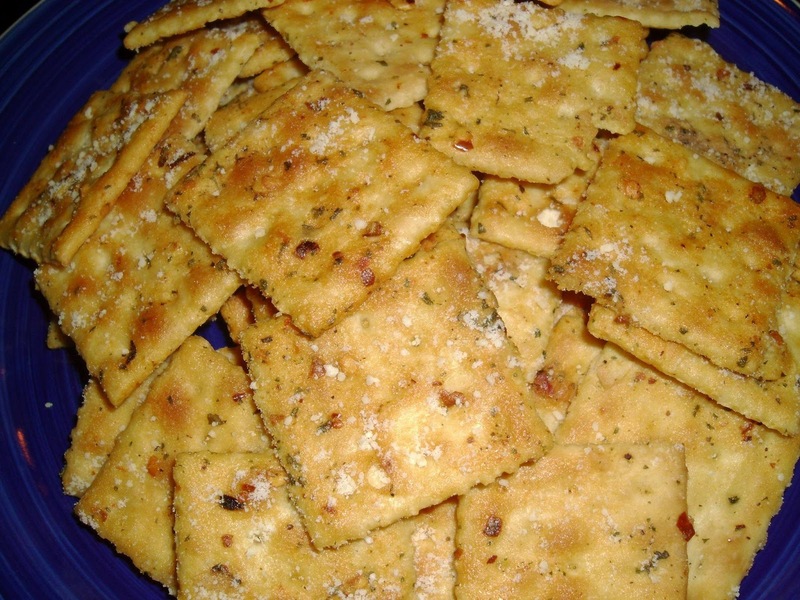 Add crackers, 1 sleeve at a time, and gently with your hand toss to coat the crackers. Let sit in the bowl while the oven preheats to 250 degrees. Line a large cookie sheet with tin foil. 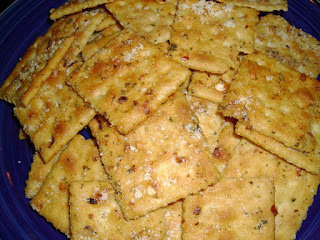 Spread crackers out on tin foil and bake for 15 minutes, remove and sprinkle with parmesan cheese and turn the crackers over. Sprinkle with more cheese and return to over for 10 minutes. Enjoy!